Ruth and Helen eagerly await the arrival of Jane Ann Hicks, who is to attend Briarwood Hall this year. The girls experience a great deal of worry when they learn that Jane's train has been wrecked. Jane is fine, but a boy named Jerry Sheming has been hurt. Jerry is taken to the Red Mill where Aunt Alvirah and Ruth care for him. 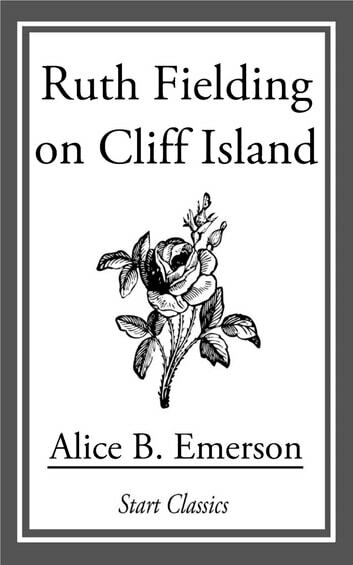 Jerry reveals that he used to live on Cliff Island, but his uncle was cheated out of his land. His uncle lost his treasure box in a landslide, and with it, the papers needed to prove his claim to the island. Uncle Pete lost his mind and entered an insane asylum, and Jerry was forced to leave. Jerry hopes to someday find the treasure box and prove his uncle's claim. Ruth and her friends leave for Briarwood Hall, and Jerry stays behind at the Red Mill. The girls do their best to make Jane Ann fit in and try to keep her from being hazed as a new girl. Unfortunately, Jane Ann has much trouble fitting in with the other girls until she uses her lassoing technique in a rescue. Things gradually get better for Jane. She shot over the yawning edge of the chasm and disappeared. 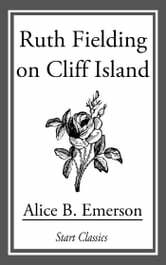 After a time, the girls are invited to Cliff Island for Christmas by Belle Tingley, whose father has purchased the island. Ruth is certain that Mr. Tingley did nothing to cheat Jerry's Uncle Pete, but the man who sold him the island must have cheated Jerry's uncle. Ruth sends word to Jerry to travel to the island and arranges for Mr. Tingley to give him a job. Later, Jerry is ordered arrested by the real estate man and is forced to hide in a cave. Ruth and her friends search the island for some sign of Uncle Pete's treasure chest. In time, the truth is discovered, Jerry is reunited with his uncle, and Ruth and her friends return home after a happy vacation.